Designed in 2017 by Dan Webster Architecture, this inspiring single family residence is located in Marthas Cove, Melbourne, Australia. This home is a new residence, located on the mornington peninsula, in Marthas Cove. The site has two boundaries that abut the water canals, with the rear boundary facing north, giving the home great natural light distribution between each space. 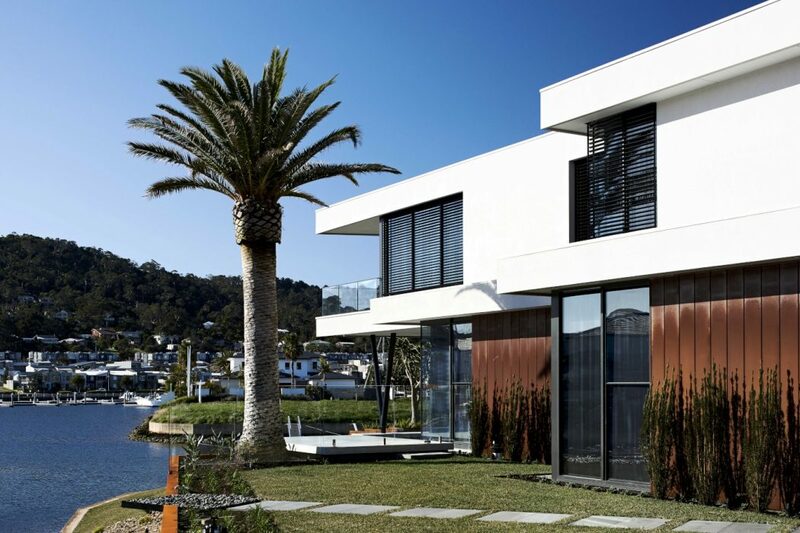 The home was designed in a way that gives every habitable room a view over the water, looking towards Mount Martha. Every room that steps out towards the water, creating the facade articulation, is a habitable room, and maximises the northern light and view.